What First Time Buyers need to Know. Are you tired of renting? Are you paying someone else’s mortgage? It’s time to buy a home in Kelowna and start paying your own mortgage instead of renting. 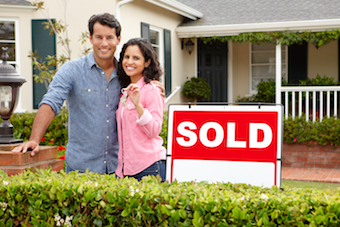 As a first time home buyer, there are incentives to help you get into the real estate market. Our team of Kelowna real estate agents have experience to guide you through the process of buying your first home. The best place to get started is to find out how much you can afford to spend and what are comfortable monthly mortgage payments that work with your budget. We have an online mortgage calculator to use as a guideline and we work with some of the top mortgage brokers in Kelowna to get you pre-approved for a mortgage. These are important factors to consider when buying a home in Kelowna or surrounding areas. A professional Kelowna real estate agent from the Quincy Vrecko and Associates team will review the costs associated with buying a property. The province of British Columbia offers several programs for first time home buyers to help with the home buying process. The real estate agents at Quincy Vrecko and Associates can review if you qualify for any of these cost saving programs. Whether you are new to Kelowna or grew up in the beautiful Okanagan, a team member at Quincy Vrecko and Associates who specializes in first time home buyers is ready to help you find your first home. Do you have questions as a First TIme Buyer.